Includes Grand Teton Hikes, Things To Do, Campgrounds, and Much More. World famous grizzly known as "399" with her triplets in Grand Teton National Park (June 2013). 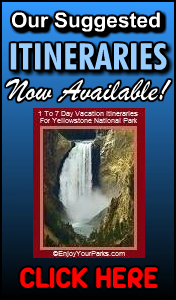 Includes Grand Teton Hikes, Things To See, Campgrounds, Weather and Much More. The famous grizzly known as "610" with her three cubs near Oxbow Bend in Grand Teton National Park.